Humanity seems determined to continue on a suicidal path and destroy much of the planet that surrounds us; so far we’ve been lucky, but if we continue in this line, we have a good chance of breaking the very fragile equilibrium our world has. In almost every forest, carbon is constantly being absorbed as trees and other organisms grow, then released as they die or go dormant. Harvard student Jakob Lindaas and researcher Leland K. Werden are measuring a forest near Havard to find out just how the global forest situation lies. In their meticulous research, they have found that the Harvest Forest is gaining weight, roughly two tons per acre per year on average. But it could all go down in a matter of weeks. Deforestation isn’t something new however. “When the European colonists came to America, they saw trees, and they wanted fields and pastures,” explained J. William Munger, a Harvard research fellow who was supervising the measurements. So the colonists chopped down the original forest and built farmhouses, barns, paddocks and sturdy stone fences. Today, the regrowth of US forests is a huge deal, especially since they are the biggest carbon sponges in the country by far.As in much of the world, the temperature is warming there — by an average of 2.3 degrees Fahrenheit in the last 40 years — and that has led to longer growing seasons, benefiting this particular forest more than hurting it, at least so far – and the effects are visible. “We’re actually seeing that the leaves are falling off the trees later in the fall,” Mr. Werden said. Some steps have been taken in order too protect the forests, but there is one impediment which we will never be able to overcome: our planet simply isn’t big enough to regrow the cut forest somewhere else; and forests have much more enemies than humans, such as bugs or insects, and now, researchers are coming to a startling discovery – there may be no such thing as a natural forest on Earth. Climate legislation stalled in the United States amid opposition from lawmakers worried about the economic effects, and some European countries have also balked at sending money abroad. That means it is not clear the forest program will ever get rolling in a substantial way. “Like any other scheme to improve the human condition, it’s quite precarious because it is so grand in its ambitions,” said William Boyd, a University of Colorado law professor working to salvage the plan. 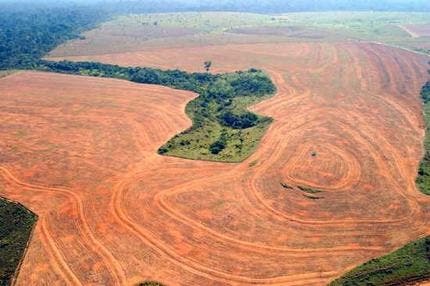 The best hope for the program now is that California, which is intent on battling global warming, will allow industries to comply with its rules partly by financing efforts to slow tropical deforestation. The idea is that other states or countries would eventually follow suit. Yet, scientists emphasize that in the end, programs meant to conserve forests — or to render them more fire-resistant, as in the Western United States, or to plant new ones, as in China — are only partial measures. To ensure that forests are preserved for future generations, they say, society needs to limit the fossil-fuel burning that is altering the climate of the world.